***Before Midnight: A Romantic Retelling of Cinderella (Blood Prince Series Book 1) by Jennifer Blackstream. Price: Free. Genre: Historical Fantasy of the Day, Sponsor, USA Today Bestselling Author, Shifter Romance, Historical Fantasy. Rated: 4.4 stars on 381 Reviews. 174 pages. ASIN: B00DPYZZXA. USA Today Bestselling Author Jennifer Blackstream. Cinderella Retold. *Waking the Bear (Shifter Wars) (Deal, Not Free) by Kerry Adrienne. Price: $0.99. Genre: Adult Bear Shifter Romance Deal, Sponsor, Paranormal Romance. Rated: 4.2 stars on 42 Reviews. 212 pages. ASIN: B01EF4JNAY. **Fight or Flight by Noah Harris. Price: Free. Genre: Gay Romance, Paranormal, Werewolves & Shifters. Rated: 4.7 stars on 76 Reviews. 316 pages. ASIN: B01GWKBVAO. *Waking the Bear (Shifter Wars) (Deal, Not Free) by Kerry Adrienne. Price: $0.99. 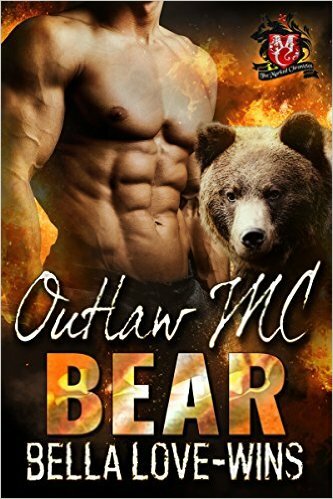 Genre: Adult Bear Shifter Romance Deal of the Day, Sponsor, Paranormal Romance. Rated: 4.2 stars on 42 Reviews. 212 pages. ASIN: B01EF4JNAY. ***Bear Prince: Shifter Paranormal Romance (Royal Bears Book 1) by Emma Alisyn, Danae Ashe. Price: Free. Genre: Adult Shifter Romance of the Day, Sponsor, Fantasy Romance. Rated: 4.4 stars on 107 Reviews. 174 pages. ASIN: B019VJ697I. **My Hero Bear (Bear Haven Book 2) by Emma Fisher. Price: Free. Genre: Shifter Steamy Romance of the Day, Military, Paranormal. Rated: 4.4 stars on 60 Reviews. 193 pages. ASIN: B019EQ6WDE. **Gifted To The Bear (The Gifted Series Book 1) by Amira Rain. Price: Free. Genre: Bear Shifter Steamy Romance, Fantasy, Multicultural. Rated: 4.4 stars on 56 Reviews. 177 pages. ASIN: B01BKQ201O. *Outlaw MC Bear (Beartooth Brotherhood MC Book 1) (Deal, Not Free)by Bella Love-Wins. Price: $0.99. 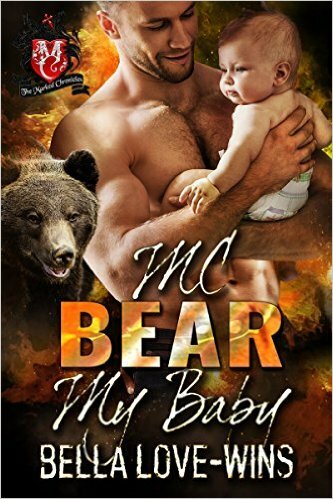 Genre: Adult Bear Shifter Romance Deal of the Day, Sponsor, Werewolves & Shifters. Rated: 5 stars on 7 Reviews. 196 pages. ASIN: B01ELRCTOM. *Outlaw MC Bear (Beartooth Brotherhood MC Book 1) (Deal, Not Free) by Bella Love-Wins. Price: $0.99. Genre: Steamy Paranormal Romance Deal of the Day, Sponsor, Romantic Suspense, Werewolves & Shifters. Rated: 5 stars on 7 Reviews. 196 pages. ASIN: B01ELRCTOM. *The Pack Rules Boxed Set: The Complete Series of Wolf, Bear, and Dragon Shifter Romances by Michele Bardsley. Price: Free. Genre: Paranormal Steamy Romance Box Set, Werewolves & Shifters, Collections & Anthologies. Rated: 4.4 stars on 10 Reviews. 507 pages. ASIN: B00US7I8SQ.